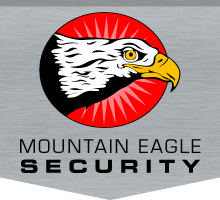 For professional, reliable security services in Cranbrook and the Kootenays, call the protection experts at Mountain Eagle Security. Our services range from on-site patrols and alarm response services to private investigation and mobile security services. We've served a number of different clients in our community, including shopping malls, businesses, special events, concerts, colleges and more. For more information on any of our security services, or to schedule an appointment with our team, give us a call today. You can also send us an email to submit your resume, and we'll get back to you as soon as possible.